Kimberly Kelly is an award-winning, full time REALTOR® who has been making her clients dreams a reality for over 32 years. Before joining Exit Realty, Kim owned and operated her real estate company, as Broker/Owner, for almost 19 years. Kim understands that a home is often the largest purchase a person will make in their lifetime and believes Realtors® must be well educated to provide the level of service and education clients deserve. Kim is constantly furthering her knowledge. Kim utilizes exclusive marketing tools to ensure her listings are widely exposed across the Internet and social media, showing each listing to its best advantage. Using technology to manage the process includes the highest level of consistent and timely communications between all parties. Real estate requires the use of progressive solutions to maximize results. Kim understands the stresses and hassles involved in the buying, selling, and relocation process and strives to alleviate these concerns for her clients. 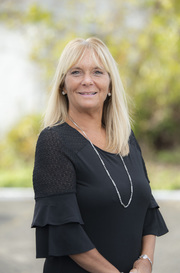 Kim is a member in good standing of the Monmouth County Association of Realtors® (MCAR), New Jersey Association of Realtors® (NJAR) and the National Association of Realtors® (NAR) in addition to the Monmouth Ocean Regional Multiple Listing Service (MOMLS). Kim can’t wait to provide you with the same service she has provided to her past clients, Making REALTY dreams your reality.